Singapore has slipped to 8th place in this year’s Global Innovation Index (GII), falling 5 rungs from the top 3 spot it had previously maintained for 2 years. Published jointly by INSEAD, the World Intellectual Property Organization (WPO), and Cornell University, the Global Innovation Index ranks a total of 142 economies based on a large spectrum of performance indicators covering two main sub-indices: (1) innovation input and (2) innovation output. Singapore, a consistent frontrunner in the annual rankings, earned high scores for indicators under the innovation input sub-index. In contrast, however, it fared poorly in the output sub-index, which consequently affected its relative standing. Switzerland and Sweden, meanwhile, maintained their number 1 and number 2 spots, respectively. The United States, in 10th place last year, showed the largest improvement, jumping to 5th place this year. Other countries in the top 10 include the UK (3), the Netherlands (4), Finland (6), Hong Kong (7), Denmark (9), and Ireland (10). Among global economies, Singapore remains the most innovative in terms of the quality of its innovation input. The city-state remains unparalleled in the following indicators: (1) institutions; (2) human capital and research; (3) infrastructure; (4) market sophistication; and (5) business sophistication. In particular, Singapore earned high points in the areas of business environment, quality of tertiary education, logistics performance, knowledge absorption, human capital and research, as well as government efficiency, among others. Our drop in recent GII rankings is a gentle reminder that we need to convert innovation potential into tangible and quantifiable results. Only then can we truly climb up the value chain. Singapore’s drop in ranking is attributed mainly to changes in the GII’s conceptual framework, rather than a marked decline in performance. Additional indicators introduced this year impacted Singapore’s relative position in the index, putting the spotlight on the city-state’s weaknesses. Under the “innovation output” sub-index, greater emphasis on internet creativity, licensing trademarks under the Madrid system, press freedom, R&D and trade-related items, among others, have lowered Singapore’s total score. In terms of overall output, Singapore was ranked only 18th worldwide. “Notably, our education system, infrastructure, R&D environment, as well as advanced market and business ecosystems are our core strengths. These are the major pull factors that continue to attract technology investors to start a Singapore company. In spite of these, however, our ability to produce knowledge products and creative assets has been less than ideal. Knowledge absorption and creative production have been persistent weak points,” she added. “At a time when Singapore is adopting a productivity-focused growth strategy, this is particularly significant. To achieve the level of productivity we aspire, we need to leverage the quality of our input in order to produce high value output. In that vein, our drop in recent GII rankings is a gentle reminder that we need to convert innovation potential into tangible and quantifiable results. Only then can we truly climb up the value chain,” she said in conclusion. 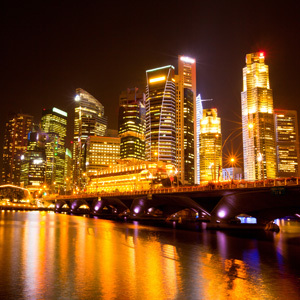 Interested in Singapore Company Registration? Contact Rikvin at info@rikvin.com for a free consultation.